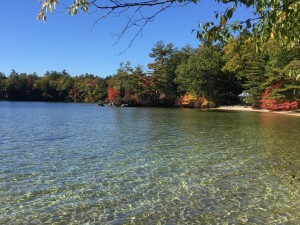 Moultonborough NH - 258 Long Point Road is Lovely Beyond Words. 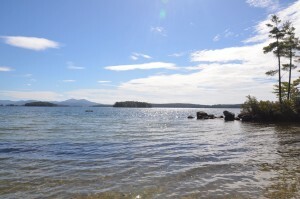 With spectacular views of the Belknap Mountains, this South facing level parcel has 358 feet of sandy frontage with a magnificent sandy beach. 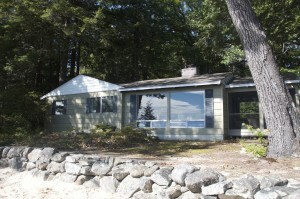 The well built, 3 bedroom cottage has vaulted ceilings in the living, dining and kitchen area. Large windows in the living room frame the views of the lake, mountains, islands, and this pristine, crystal clear, sandy bottom bay. Another ideal location on the property is the sun porch with windows on three sides for more enjoyment of these gorgeous views. For guests, the 1 bedroom guest house has a 3/4 bath, laundry room and attached garage. 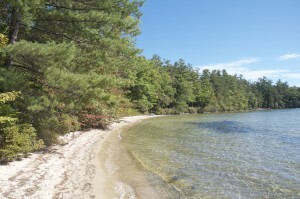 The island-like point with a large, flat rock would be a great spot for a dock, sunbathing, or picking blueberries. Shoreline extends into the next cove, which has another heart-stopping view. Very few parcels have so many superior features! 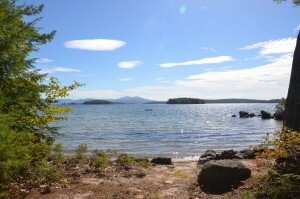 Looking to build on Winnipesaukee? This is a lot to consider! The Site Assessment Study states the potential for a 60' x 28' or a 50' x 26' dream home on this waterfront parcel just 10 minutes from town. Offered at $985,000. Listed by Nicole Watkins. 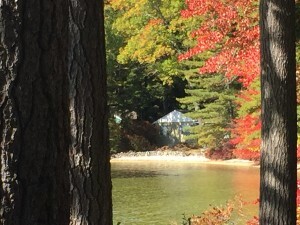 (603) 707-7575.